It looks like we're in for a very sweet year as the number 1 chocolate brand from Spain just landed Philippine shores. 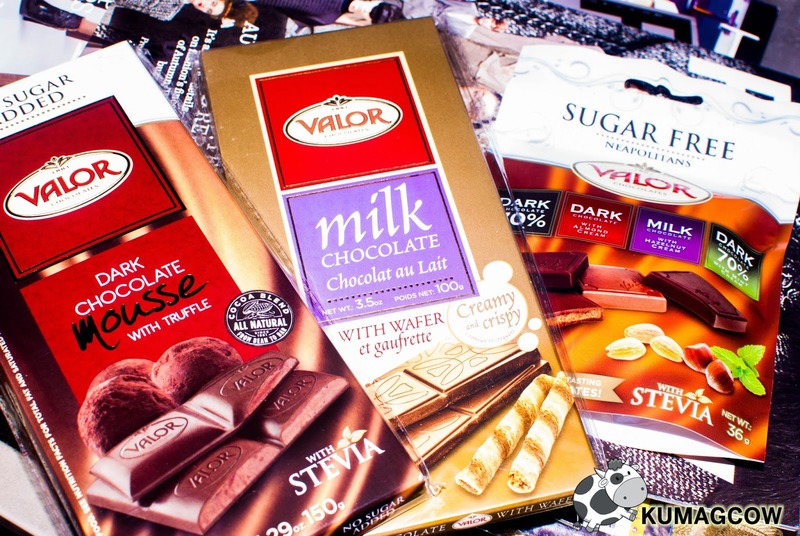 Valor, a brand coined by its founder Valeriano Lopez Lloret, had his family of master chocolatiers to passionately create the best chocolate products since 1881. It continued to thrive until it's fifth generation today; and now they're gearing up for introducing it to the world by releasing it internationally and still having the same quality as it comes out fresh from bean to bar as guided by the same principles of the Lloret family business. Valor's chocolatiers import their cacao beans from only three places. It comes from Ghana (Forastero), Ecuador (Guayaquil) and Panama (Trinitario) all of which are world class sources of this fine product. Valor’s central factory is in Villajoyosa Spain, and this is where every bean goes through a process making it the highest quality possible. It's also made of all natural raw materials and used with even natural sweeteners in order to produce the world's finest chocolates. They also released the latest in their line of products, they now Sugar Free choices! They use the plant called Stevia which comes from South America. It is said to be 15 times sweeter than ordinary sugar but its got zero glycemic index, nothing that other sugar free artificial sweeteners can do in this time and age. It's the right time everybody enjoys these guilt free choices, all of which can be bought in leading supermarkets and stores nationwide! Oh and before I forget, if you haven't found the perfect hazelnut choco spread yet, Valor has 130 years of experience to concoct the best one I've tasted so far. Plus, it's got NO Sugar Added making it au naturelle and so good in each bite. I am just stopping myself from finishing this whole jar because I want to have more in the next few days. I am not joking.... you should go ahead and find this on the counters and treat your family to something really good. It's even good on bananas which I put inside sandwiches at home.